On Friday, December 21st, The Malcolm Jenkins Foundation hosted its 2nd Annual Big Easy Holiday Dinner Surprise. Jenkins and his foundation, coordinated with local non-profit and church organizations to identify 25 families in need of a cooked holiday meal. Along with TMJF board members, Loyce Pierce Wright and Pamela Lyles, area volunteers helped package and distribute the cooked meals that included–two (2) side dishes, two (2) beverages, a dessert and a turkey or ham prepared by the Orleans Parish Sheriff’s Office. This year, former New Orleans Saints player, Ricky Jackson donated food items to support the effort. 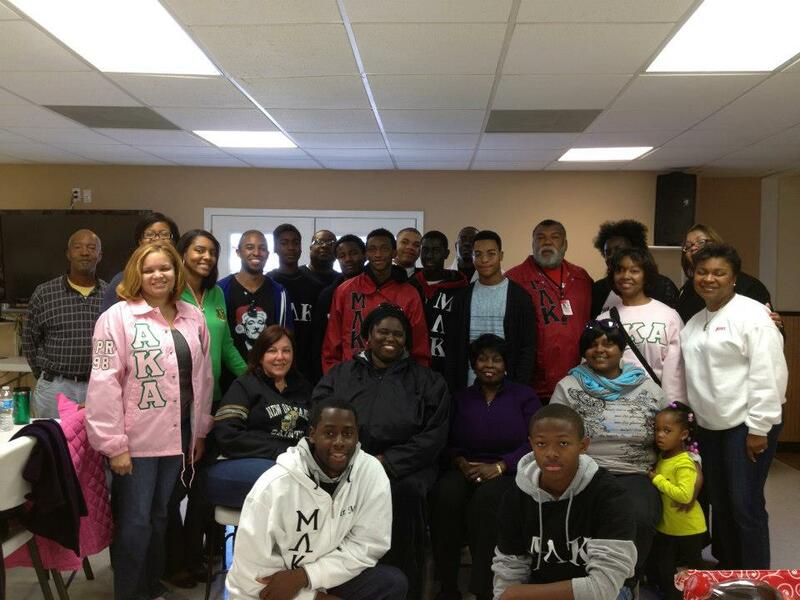 Among the volunteers, assisting in packaging and distributing holiday dinners were students from the Dr. Martin Luther King, Jr. Charter High School mentoring program Mu Lambda Kappa. The students were Lavance Woodberry, Ellis Gutter, Krischan Jupiter, Tori Harris, Earl Thomas, Renard Smith, Roderick Clark. The mentors were James Mack, Enos Hicks and Daryl Persons. New Orleans Alumnae Chapter, Alpha Beta Omega Chapter, Alpha Kappa Alpha Sorority, Inc. (Sheryl W. Rodriguez, Robyn McCormick, Shellond Chester, Cerise McClendon & Gina Dupart); Beta Upsilon Chapter (Dillard University), Alpha Kappa Alpha Sorority, Inc. (RoShawnda Buchanan); LSU Law School, Carlos Rodriguez, Jr.; Delta Sigma Theta Sorority, Inc.; NOLA Women for Change, Shawne Favre; students from Southern University of New Orleans (SUNO); volunteers from Bibleway Missionary Baptist Church; Monique Varnardo and Ceeon Quiett Smith.